A pair of well-selected, strikingly designed dress shoes brings elegant earthy tones and stylish neutrality to any outfit. There are simply so many color combinations where black creates too much of a striking contrast, yet brown proves to not just work, but also bring in a classy blend allowing your look to shine. Here we’ll be taking you through a look at the best brown dress shoes. We’ll be carefully evaluating the top features, as well as pros, and cons, while also looking at how comfortable, practical and versatile each is. Strong, stylish and simplistic, the Men ‘s Utopia Business Oxford dress shoes should clearly be your first choice when shopping for mens brown dress shoes. Available in black and brown, these pointed-toe shoes sport a classic wingtip design, while being highly comfortable thanks to the lightly cushioned footbed. Perfectly suited almost any formal or semi-formal attire, you will never be left without the perfect accompaniment to your outfit when opting for these brown dress shoes from Men’s Utopia. With their professional, contemporary style and supreme firm yet comfortable fitment, the Men’s Utopia Business Oxford dress shoes are superior to even high-priced brands such as J&M Melton. Very few brown dress shoes deliver the same quality. Men’s Utopia Oxfords have guaranteed excellence by utilizing a combination of a grain-leather upper and extremely durable construction. You can’t beat the quality of the real leather, while the feel of these shoes themselves conveys luxury and style-conscious pride. This also guarantees that once they adjust to the form of your foot, they fit better than most other competing brands. From the packaging to the great after-sales service, which is barely utilized due to their high quality, these are clearly an excellent choice for any occasion. 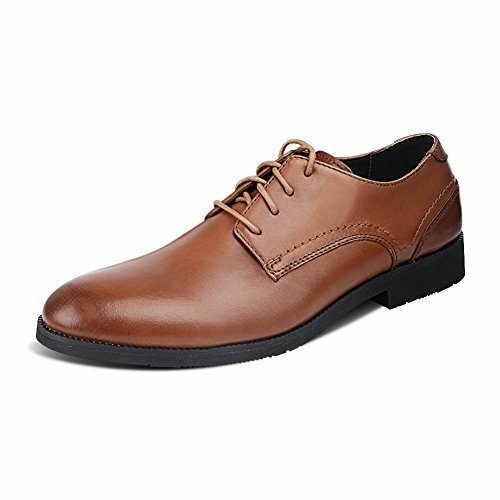 With a look suited to both the office and more elegant events, the Men’s Lenox Cap Oxfords from Cole Haan are a great number two on our list of the best brown dress shoes. Cole Haan is one of the most prestigious brands in America and these brown dress shoes are a fine example of exactly what makes them famous. Carrying design elements from a distinctly 20s heritage across their entire line, the Men’s Lenox Cap Oxford makes fine use of reddish undertones which contrasts the brown leather. The leather exterior holds a shine wonderfully. The only consideration to keep in mind is the sizing. Cole Haan lists 2E as a wide, while D(M) refers to medium. Cole Haan delivers outstanding durability and great pricing with their Men’s Lenox Cap Oxford brown dress shoes. Available in brown, dark brown and black, they are the perfect accompaniment to a range of outfits. The stitching is of particularly high quality, while the leather itself cannot be faulted. It retains its shape very well. This leads to the shoes taking a short while to break in, however, once they are, they are a pleasure to wear. From the rubber-inclined sole to the rugged leather design, these are among the best brown dress shoes for any type of weather or environmental conditions. Fashionable, comfortable suede with perfect fitment, an array of stylish colors, and high-quality throughout, the Marino Suede Oxford Dress Shoes are a solid number three. The modern, contemporary elegance translates perfectly into a smart-casual style-set, with these excellent brown dress shoes granting sleek fitment, practicality, and durability. These are the perfect shoes for when you need a blend of fashion-conscious class and near unparalleled comfort. Tear and scuff-resistant, you can’t go wrong with the Marino Suede Oxford Dress Shoes. They may not always be welcome at an office or event with a strict formal dress-code, yet thanks to the stylish design and minimalist undertones of this sleek, professional shoe, you could easily mistake them for formal attire. They are a great match for both business and smart dress pants while being the perfect pairing to jeans and chinos as well. The soft look of the top-quality suede ensures an excellent contrast to rough fabrics, while the soft suede fits surprisingly well around the heel and ankles, holding form at all times. 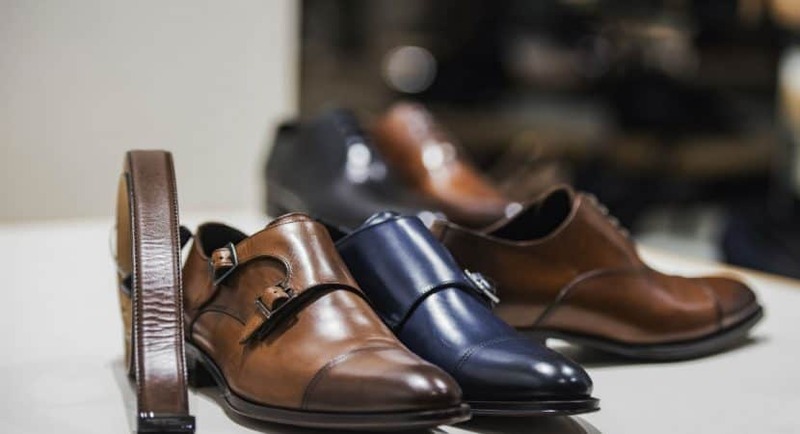 If you are shopping for the best brown dress shoes and are feeling inhibited by color pairings, then follow this general rule of thumb. Dark brown dress shoes are generally a great match to most formal wear, accentuating the look of dark and light suits while opening up your possibilities to a range of other colors such as navy, ivory, and charcoal. 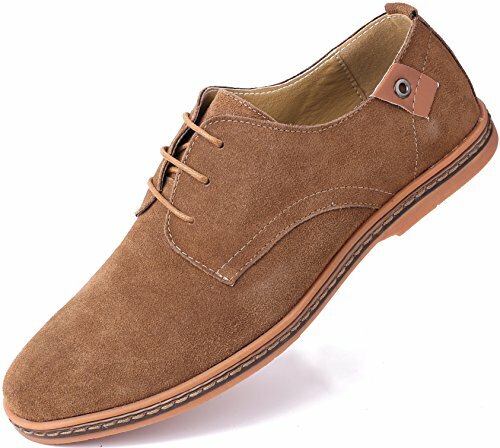 If your brown dress shoes will be filling the gap in both your formal and semi formal wardrobes, then it may be a better idea to go with a lighter shade of brown, possibly something such as a tan, suede or at times a light reddish-brown. Single-color brown shoes are the most versatile in terms of casual wear, while darker shades tend to have more specific formal style pairings. Similarly, when looking for the best brown dress shoes to serve a dual purpose between the home and office, be sure to pick a pair which is of a plain minimalistic design, free from embellishments and ornate details. Wingtips, tassels, and brogueing are not advised. Yet for formal wear, wingtips punched with patterns and flowing tassels each add a touch of elegance to your attire.